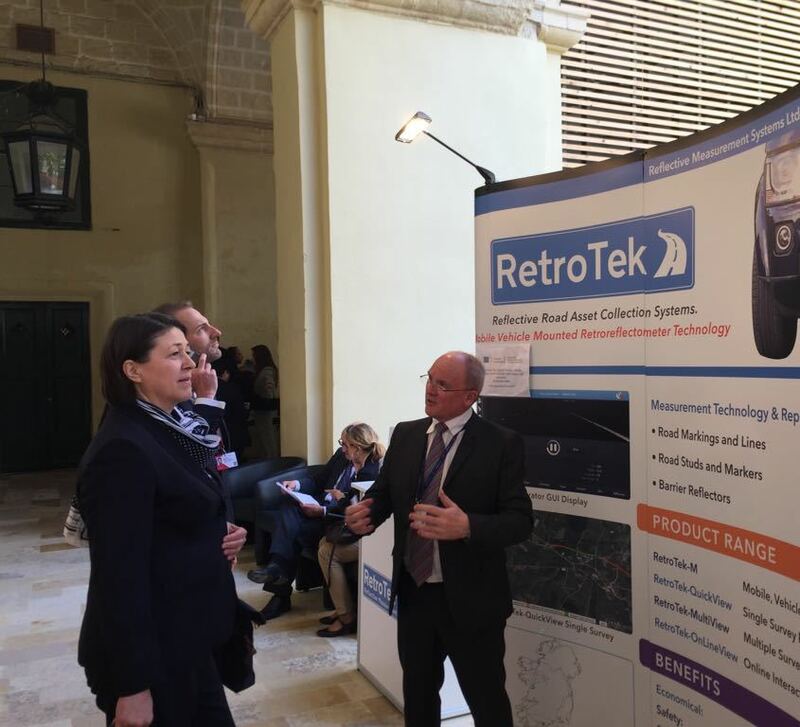 Reflective Measurement Systems (RMS) recently exhibited the High Level Road Safety Conference in Malta last month to present its its Retrotek retro-reflectometer. On 28 March, the Maltese Presidency, in collaboration with the European Commission organised a High-Level Stakeholder Conference on Road Safety, in Malta. The aim of this conference was to bring together stakeholders that are active in the field of road safety to provide recommendations for the Road Safety Ministerial Meeting that was taking place the next day. Stakeholders met with the Presidency, the Commission and the European Parliament and proposed actions to improve road safety in a participatory and open discussion form. The conclusions from the meeting were presented to transport Ministers on the Road Safety Ministerial Meeting the following day. This formed the basis for the Valetta Declaration on Road Safety, which was adopted by EU transport minister of the EU on 29 March. The declaration aims ot create a fresh political impetus for strengthening actions to bring down road fatalities in Europe, given that progress in recent years has been marginal. The ERF was among the invited stakeholders to contribute to the discussion with its expertise on road infrastructure. In fact, ERF Vice-President Rik Nuyttens actively moderated discussions on ‘Infrastructure Safety and Financing’, which resulted in a series of recommendation being put forward for better maintenance of road in order to increase road safety. Furthermore, ERF was present at the outdoor exhibition where RMS had been invited to display its Retrotek retro-reflectometer, which has been developed via a Horizon 2020 project. In fact, RMS CEO Joe Turley had the opportunity to present the new device to Commissioner Bulc and explain the importance of monitoring the performance of road markings on the network in order to provide much needed visual guidance to drivers and enable an effective operation of lane support systems.